As we draw closer to the 2019 NFL draft in Nashville, Tennessee, a handful of teams will come in looking for a quarterback. Whether it's a team that desperately needs a new signal-caller, a team that just wants a new guy running its offense or a team that wants to get ahead of an older quarterback's final seasons under center, the scenarios for landing the guy are plentiful. For each team likely to at least consider taking a QB, our NFL Nation reporters reviewed which prospects the franchise is interested in, what assets it has to land them and how it might all play out – from best-case to worst-case scenario. Who they like: It's no secret that new coach Kliff Kingsbury likes Oklahoma quarterback Kyler Murray. He has known him since high school and recruited him to Texas A & M and Texas Tech. The Cardinals met with Murray at the scouting combine and hosted him and agent Erik Burkhardt – who also represents Kingsbury – on a visit to Arizona. But the Cardinals already have a quarterback in Josh Rosen. Their desire to have a new quarterback might trump their lack of true need, and it's Murray or bust if the Cards do go QB. If the Cardinals want Murray, then all they have to do is submit their draft card now and take him first overall. If he's their guy, it's possible and plausible that the Cards have already started drawing up Murray's contract. But they could also easily decide to draft a defensive player or entertain a trade package that's too good to pass up. The wild card of it all is that this could be a massive smokescreen, in which they feel defense is a bigger need and they're happy with Rosen. But another layer to it is whether the Cards can get what they want for Rosen in a trade either before, during or after the draft. Who they like: While coach Jon Gruden got tongues wagging at the Senior Bowl by praising Murray's skill set, he might actually like Dwayne Haskins more . The Raiders have worked out both quarterbacks, and Gruden also coached Drew Lock at the Senior Bowl. Trade assets: With $ 125 million man Derek Carr entering Year 3 of his five-year extension, the Raiders seem set at the position, and both Gruden and new general manager Mike Mayock has said Carr is their "franchise quarterback." But if Carr is more Mr. Right Now than Mr. Right, the Raiders should at least kick the tires on a draft quarterback, right? With four picks – half of their total haul – in the first 35 selections, the Raiders could conceivably move up to No. 1 to grab Murray. That would mean decimating the rest of their pick pool, though, and Mayock might actually be looking to move down to load up even more since the Raiders currently do not have a single pick between Nos. 36 and 105. Best-case scenario: Haskins falling to Oakland at No. 4 seems likely, and Lock could probably be had at No. 6 or maybe even no. 17 if Oakland trades back with the Giants for more mid-round picks. But the Raiders need pass-rushers above all else. Plan B: Gruden also coached Daniel Jones and Ryan Finley at the Senior Bowl, and they could both still be there at No. 35.
Who they like: The Giants have met with all the top quarterbacks along the way, doing their due diligence on all the viable options. They seem to be most smitten with Lock. His physical skill set, combined with three years of starting experience, make him the most likely target for the Giants with their two first-round picks. Jones, with his Manning connections and cerebral approach, could be an option with the 17th pick, too. The Giants appear uncertain about Haskins with his one season of starting experience and lack of mobility. He seems more popular in mock drafts than at 1925 Giants Drive. Trade assets: The Giants are intent on maximizing value with their top two picks. They're not going to force a quarterback. If their grade does not align with the player (regardless of the position), they're going to pass. So while they are likely to pass on a quarterback at No. 6 at this point, it's possible they move up from No. 17 to get Lock or Jones, say, in the early teens. That would seem to align with their plans and desire to maximize value. The Giants have 10 picks outside the first round to work with in order to make something happen. Best-case scenario: One of the draft's top defensive players – Josh Allen, Nick Bosa or Quinnen Williams – falls into the Giants' laps and then their top quarterback (believed to be Lock) is still available at No. 17. That would be a dream for New York. Or the Cardinals pass on Murray and he is there at No. 6 somehow. Plan B: Yeah, that's pretty unlikely. Instead, the Giants land Ed Oliver and No. 6 and Jones is then waiting for them at 17. That seems more realistic. The wild card: It's not out of the question that the Giants push their quarterback decision into 2020. If anything, the Odell Beckham Jr. trade bought them a bit more time; their rebuild now does not need to align with his prime. Arizona's Rosen could be worth a shot on the trade market, if the price is low enough for the Giants to enter the fray. They're not crazy about him, but on the cheap, it might be worth the risk … for the time being. They then can dip back into the quarterback market in next year's draft. Who they like: The Broncos had pre-draft visits at their team complex with Haskins, Murray, Lock and Jones. Haskins is the most well-rounded for their system, and Jones' stock has risen some with the team since the Senior Bowl. Murray would require a significant shift in their offensive planning. Lock has the athleticism and the arm, but his accuracy gives the Broncos at least some pause. Do the numbers back up what the scouting reports say on the draft's top 10 quarterbacks? Todd McShay and John Parolin break down each skill set. Trade assets: Given they just acquired Joe Flacco to be the quarterback of the immediate future, they have less capital to make a move than some others . They have eight picks overall, but only two in the top 50 (No. 10 and No. 41), so moving up in the opening round would almost certainly require a future No. 1. Best-case scenario: In the past, GM John Elway has been conservative on trades and stuck to the team's value charts – the Broncos once scuttled a potential deal for Joe Thomas because the Browns wanted an additional pick added to a total elway thought was enough. Flacco gives them immediate help, so they do not have to make a lopsided move to get a quarterback. Their best case is an unexpected slide by Haskins or to trade back into the bottom of the first round. There will also be solid options sitting there when they pick early in the second. Plan B: Patience will be the virtue and they wait until next year to try again. And the fact the Broncos worked so hard to make the trade for Flacco shows they considered it a very real possibility they would not have a shot at this board's top passers. Denver still needs to use one of the eight picks on a quarterback, as it does not have one it drafted on its roster, but Flacco helps the Broncos avoid the kind of mistake they made when they traded up to get Paxton Lynch in 2016. If all else fails: Get a developmental guy such as Buffalo's Tyree Jackson or Grier or Stidham who can learn behind Flacco. Now, if Flacco gets hurt early in 2019, that throws an enormous wrench into the patience idea, but if the Broncos pass on the QBs in the first round, they can reset, look to next year and just take their favorite passer on the board this time around who is not named Haskins, Murray or Lock. Who they like: The Dolphins have done significant homework, meeting with Murray, Haskins, Lock and Jones, but they have not tipped yet on how they rank the group. It's believed that Miami is very high on Murray, but it seems unlikely he will be available even with a modest trade up. Haskins and Lock are more likely options. Trade assets: GM Chris Grier says the Dolphins will do whatever they need to do to get a franchise QB, including trading up. That being said, there is probably a limit to how high Miami would be willing to move up given big needs throughout the roster. The Dolphins currently have 10 picks (12 with projected compensatory picks) in the 2020 draft. The thought here is that they would be willing to move up maybe a half-dozen spots if they fall in love with a QB. 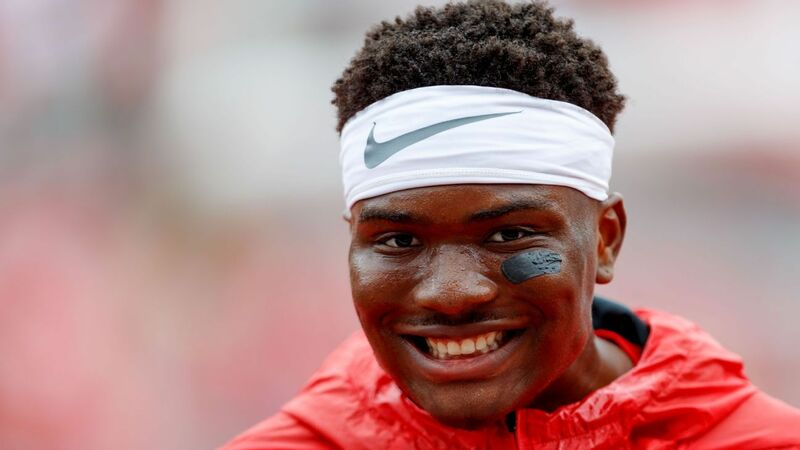 Best-case scenario: There have been rumblings that Haskins could fall further than we initially expected in the draft. If the Dolphins love Haskins, or Lock, and their guy falls into the 10-12 range, it might be worth making that trade to get their franchise QB. Former Duke QB Daniel Jones spent three years learning from "QB whisperer" David Cutcliffe. Now he enters the NFL draft as a potential first-rounder. Plan B: Buckle up for a bumpy 2019 season, and prepare for the 2020 crop of franchise quarterbacks. And it's not such a bad scenario depending on what side of the "Tank for Tua" campaign you are on. Indeed, all eyes go toward Old Tagovailoa, Justin Herbert and Jake Fromm if Miami can not secure its QB in the first round this month. And the Dolphins might still select a quarterback in the middle rounds. Who they like: The Redskins hosted visits with every top quarterback and then some. They met multiple times with Jones and love Murray. There are parts of Lock's and Haskins' games that they like. Jones is viewed as a near-to-finished product, but the Redskins are no different than other teams with the draft when it comes to quarterbacks: all over the place. And remember, the Redskins could still trade for Rosen, someone they liked before the 2018 draft. They're not going to trade a first-round pick for him and might not trade the second-rounder, but if Arizona gets desperate on draft day, the Redskins could try to swoop in with a third-round offer and avoid this altogether. Clayton Thorson is a quarterback out of Northwestern who threw for 17 touchdowns and more than 3,000 yards in his senior season.